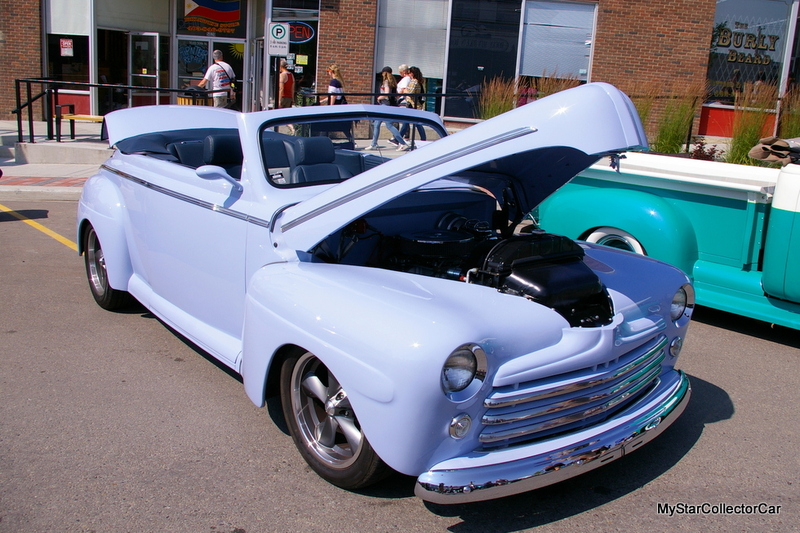 Ron Stimson is the proud owner of a 1947 Ford convertible that has been massaged into one of the most stylish custom rides that MyStarCollectorCar has ever had the good fortune to encounter during our 10 years as the online voice for the vintage car hobby. Ron revealed that his project started in 2003 and his adventure produced some serious frustration about the progress along the way. He was able to harness his emotional energy for another project, but Ron knew he wanted to complete the ’47 Ford at some point in the future. 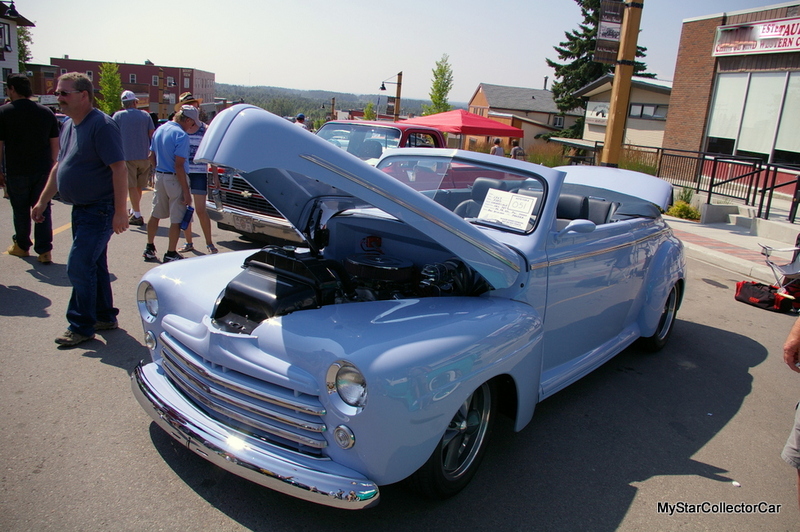 The 3rd weekend in June, 2018 was that point in the future because Ron was able to debut his Ford at a large Okanagan car show held in Penticton, British Columbia last year. Ron won Best of Class in that inaugural show for his ’47 custom ‘vert and will likely fill the back seat and trunk with future show trophies. The car has undergone a major transformation since its first days with Ron. 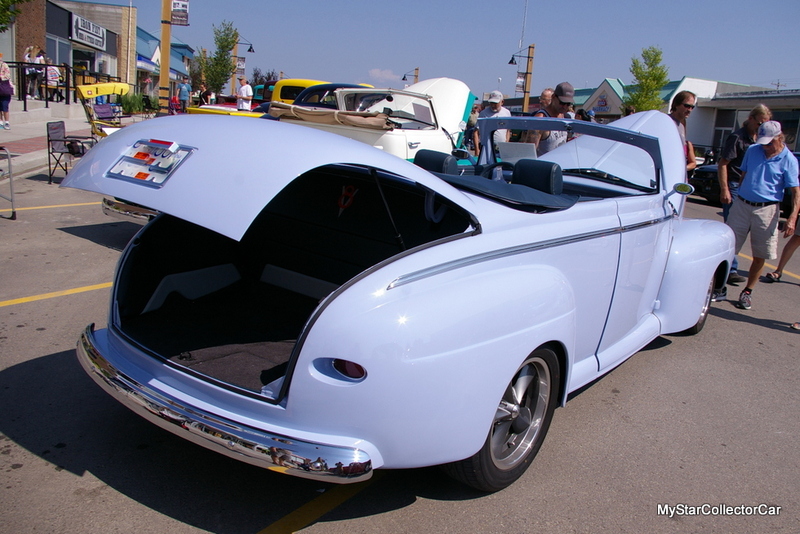 The sheet metal on the convertible has all of the classic custom touches applied to it, including frenched tail and headlights, shaved door handles, and bumpers that have been pulled (customized and re-positioned) into the Ford’s body to give the car an even sleeker style. 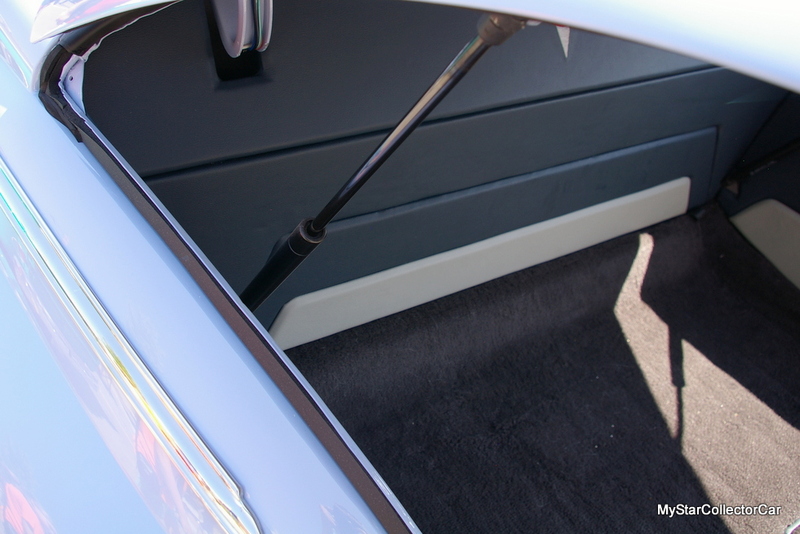 The seats in the car were donated by a BMW 325 and were set in place before Ron custom-built the rest of the interior for the Ford. 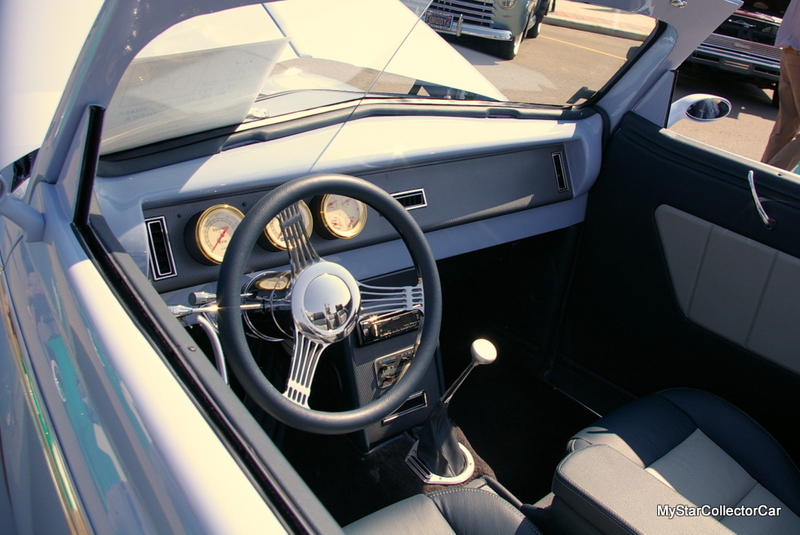 The convertible also sports all of the creature comforts such as power steering, power 4-wheel disc brakes, AC, an upscale stereo system, and power windows. 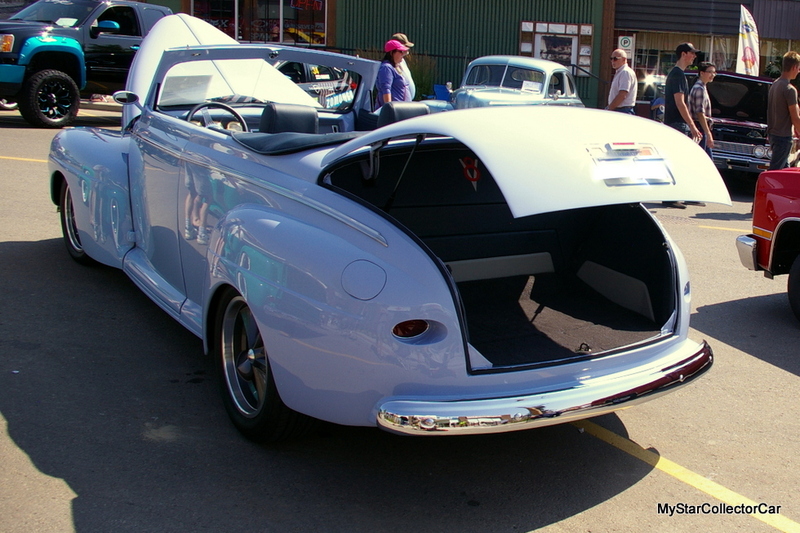 Ron also left no stone unturned when it came to the custom engineering behind his Ford convertible. The fully-boxed chassis has been strengthened to handle the torque of the new power train that features a free-breathing (headers) 383 stroker bolted up to an overdrive automatic transmission. Ron likes the combination because his car’s tachometer only shows about 2000 RPMs at 110 km/h (about 70 mph) and delivers good gas mileage in the bargain. The Ford now has a coil-over suspension system and a Mustang II-type tubular steering system to handle the roads at higher speeds. 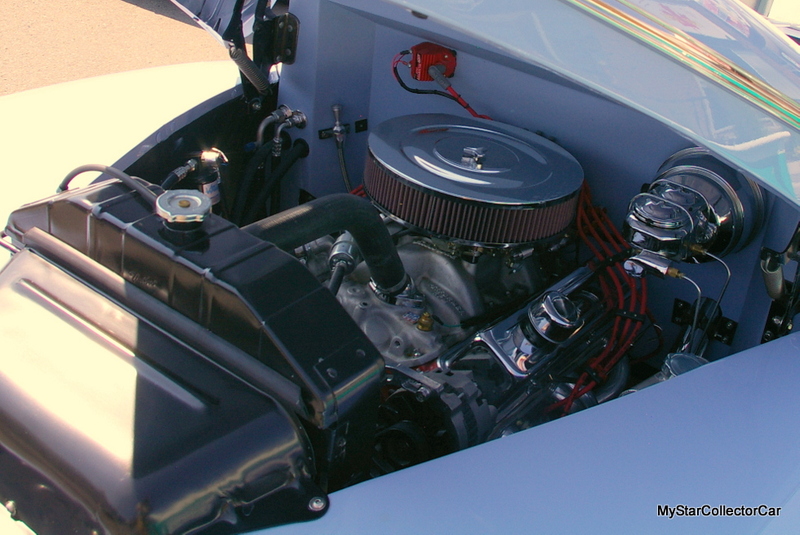 The four bar Ford nine-inch rear end also has Posi-Trac to handle the extra muscle delivered by the stroker engine and help keep the car in a straight line when Ron hits the go pedal. 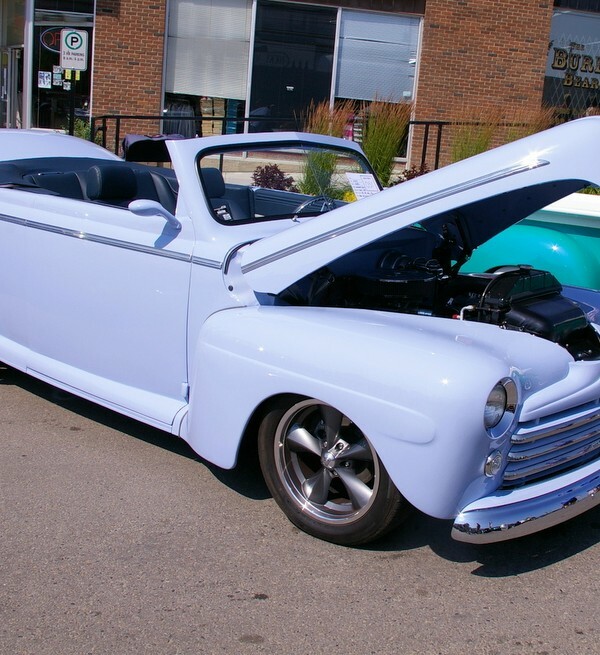 The overall experience behind the steering wheel of the 1947 Ford custom convertible has been very enjoyable for Ron and he intends to enjoy every minute of his time. 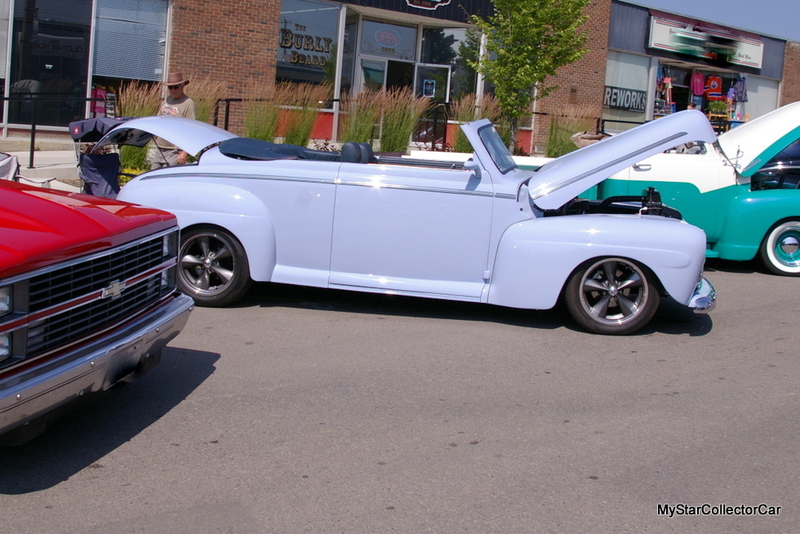 Ron says his Ford custom is a “nice clean little car that is fun to drive” after his massive custom makeover on the 71- year-old convertible. It’s abundantly clear that Ron’s long project has been worth all of the years it took for him to take an aging car from a bygone era and launch it into the 21 century in a big show-winning way.